Welcome to Day #3 of Chocolate and Central America Theme Week. 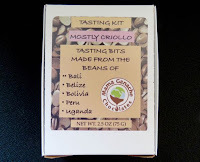 Today's Belize chocolate was part of a (bean-to-bar made) single origin tasting kit from Mama Ganache Artisan Chocolates (San Luis Obispo, CA). 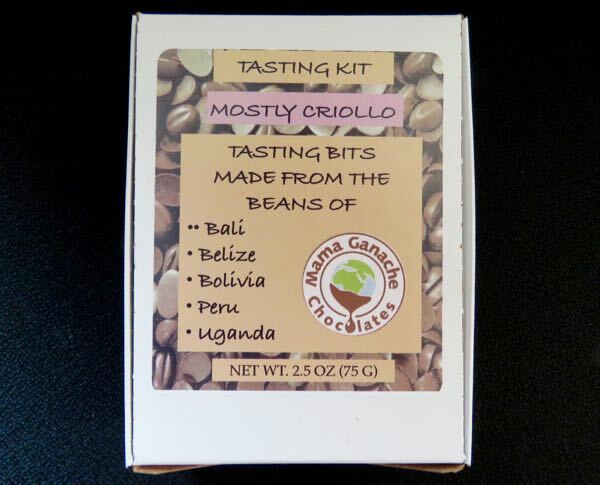 The idea of a tasting kit encourages customers to savor chocolate a bit more slowly. Allowing the bits to gradually melt in the mouth makes it easier to detect flavor notes. 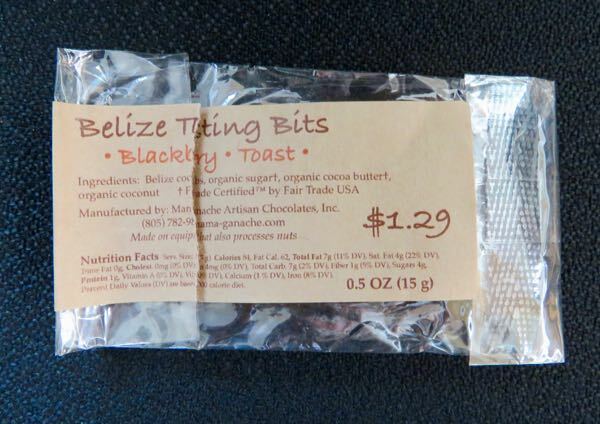 In this case, the notes printed on the package invited the taster to look for "blackberry" and "toast." Mama Ganache is a family-run chocolate business. Chef Tom is behind several creations; and the business has had a focus on high-quality, ethically sourced, organic and direct trade chocolate for some time.